I got a nice surprise as I was bringing in the mail. Our team photo was on the cover of magazine. 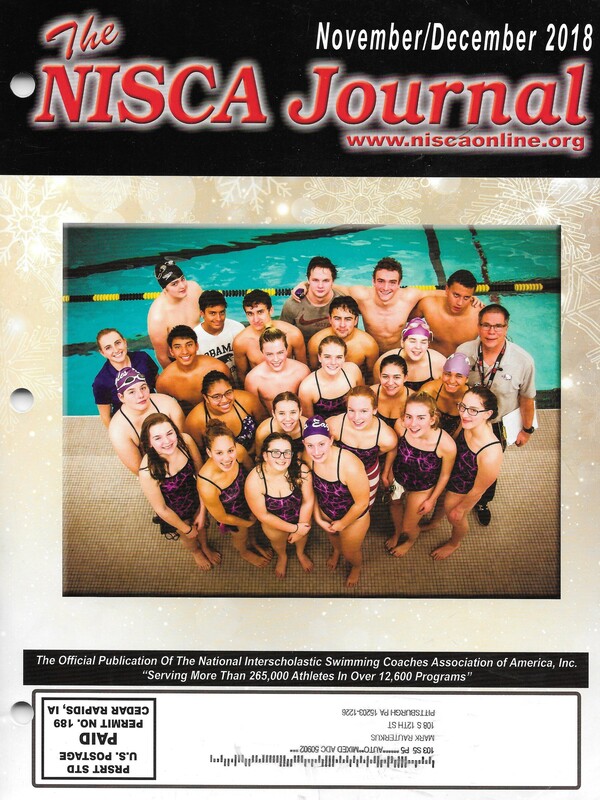 Our varsity swim team photo from last season is on the cover of the NISCA Journal -- the magazine of the National Interscholastic Swim Coaches Association. Fun. Handsome team too, IMHO. 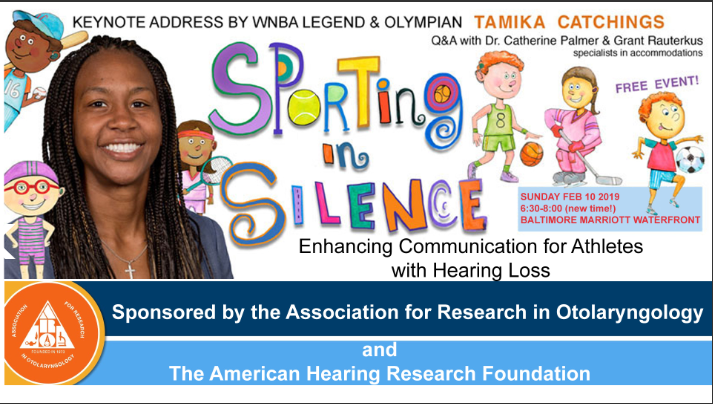 Friends of sports, especially in Baltimore, there is a special event slated for 6:30 pm on Sunday, Feb 10, 2019, called SILENT SPORT with a former Olympian and WNBA super-star, Tamika Catchings, and her inspiring story of overcoming communication issues. See the top post at my site, https://CLOH.org for details. My wife, Catherine, and Grant are also sharing the podium too, to feature the gratis ebook, Time Out! 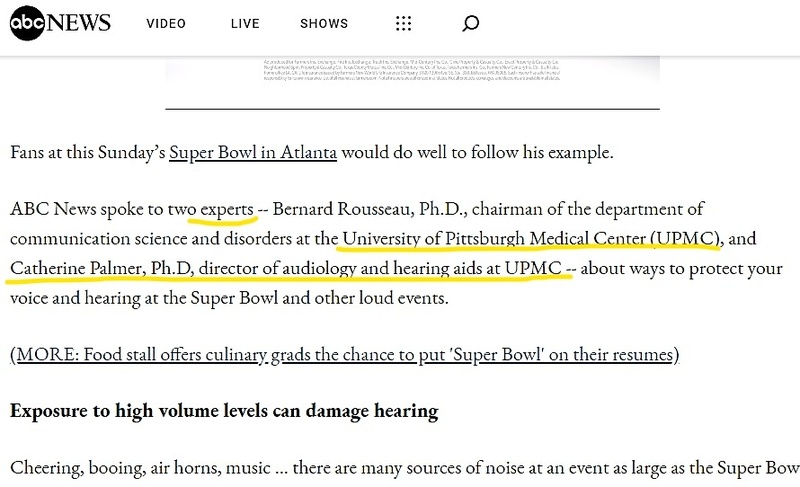 I Didn't Hear You, that offers technical insights to help coaches, guardians and advocates get kids with hearing issues into sports programs. 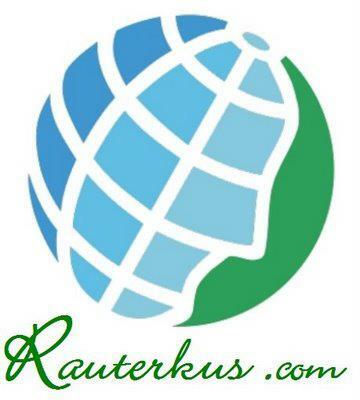 More and the download links at https://Time.CLOH.org. Our masters water polo squad in Pittsburgh is hosting women water polo players from Salem, WV, on Tuesday night, 7:30 to 9 pm at Chartiers Valley HS. Stay warm and safe in the weeks to come. For more information, check out the other site, Time.CLOH.org. 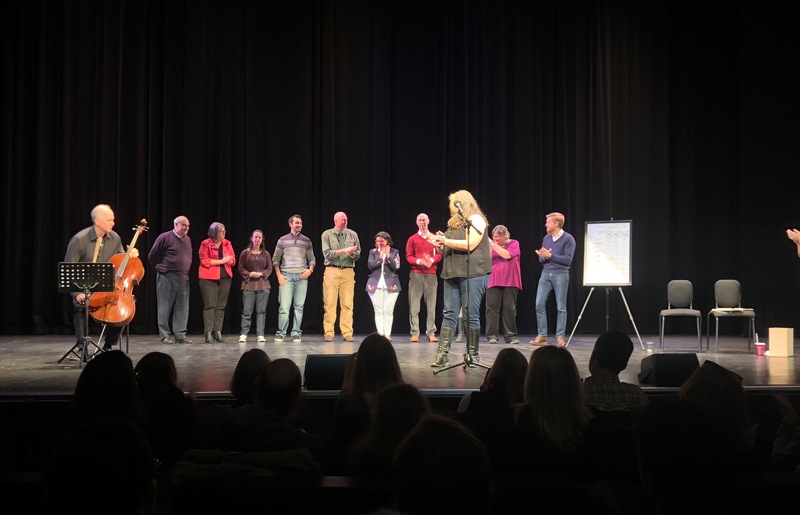 Post show bow at Pittsburgh’s The Moth Grand Slam in October 2018. Wonderful show. Catherine told a great story that centered around a 16 month relationship with a plant, not a ten-year struggle over cancer. Lots of physical mojo in the stories including a guy who aims to dunk, then the trip to NYC with a back-seat pee, a bully-beating in high school, a patient patient, an ants in his pants teacher, and more. Catherine’s three-time reign as Pittsburgh’s Grand Slam Champion has come to a close. 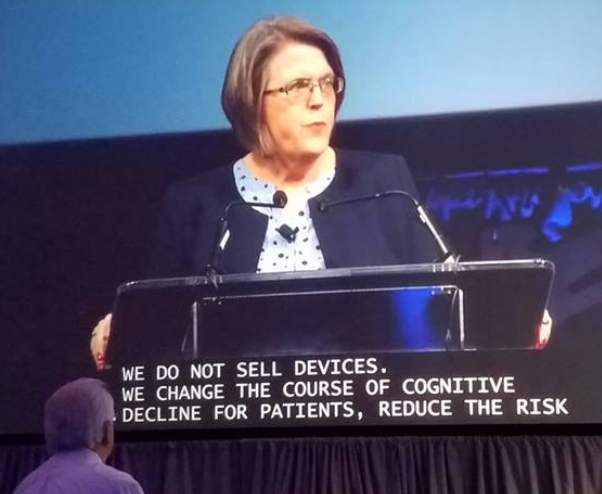 Catheine Palmer is a professor and audiologist. Her stories focus on the funny reality of parenting whether your kids are babies or taxpayers. This often misguided parenting has produced tow resilient young men who continue to make new stories. Listen to four of her stories on the website. 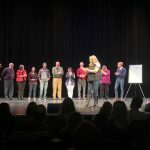 David Montgomery (host), Joel Brady, Stephan Cooper, Bob Creo, Davit Davitian, Kimberly Giles, Catherine Palmer, Mariah Passarelli, Lora Rigatti, Nate Sandstrom, Denise Scheuermann. David Bennett (musican), Michelle Jalowski (director), Kelly Flanagan Dee (Story-SLAM producer).